Hidden Ponds is a beautiful single family subdivision located within the Grand Blanc School District, which is one of the top-ranked schools in Michigan. Hidden Ponds Grand Blanc surrounds a large wooded preserve with several small ponds. Most of the lots back directly to this picturesque setting! Hidden Ponds is filled with single family homes from 1350 to over 2500 square feet with ranch, colonial and split level models all available. Walkout and Daylight basements are also offered. Contact Anuj to see why Hidden Ponds has become one of Genesee County's fastest growing communities in Grand Blanc, or visit here to view the homes for sale. All homes in Hidden Ponds Grand Blanc MI are built by the Seville Company. They have been a family-oriented/owned business for longer than thirty years! They have developed several communities and have built more than 1500 homes throughout Michigan. They have been able to stay in business for this long due to high satisfaction from the customer! 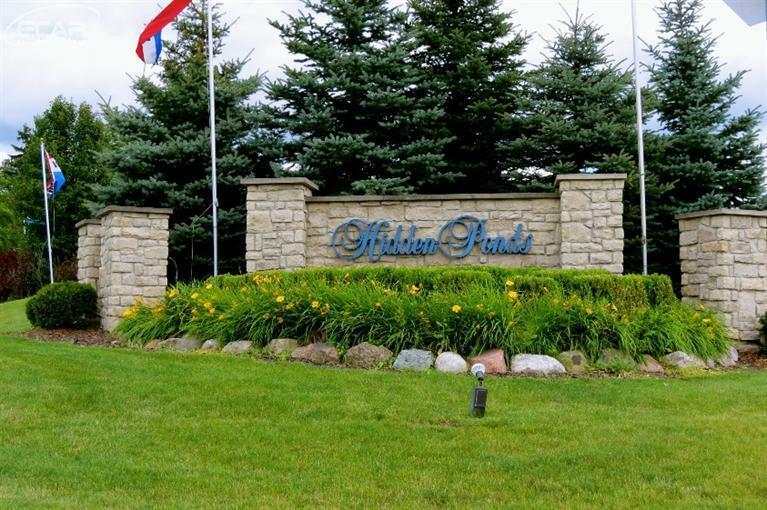 If you are interested in additional information about homes for sale in Hidden Ponds Grand Blanc MI, contact Anuj at 810-908-6470 or homes@soldbyanuj.com and we can begin the process!